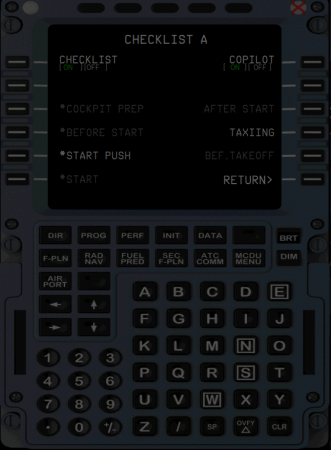 I'm flying with the A321 and I started the checklist from the copilot to speed up the departure times a bit. After some items the copilot got stuck and did not go any further. I do not get nenach efuopri "skip item" to move to the next call. 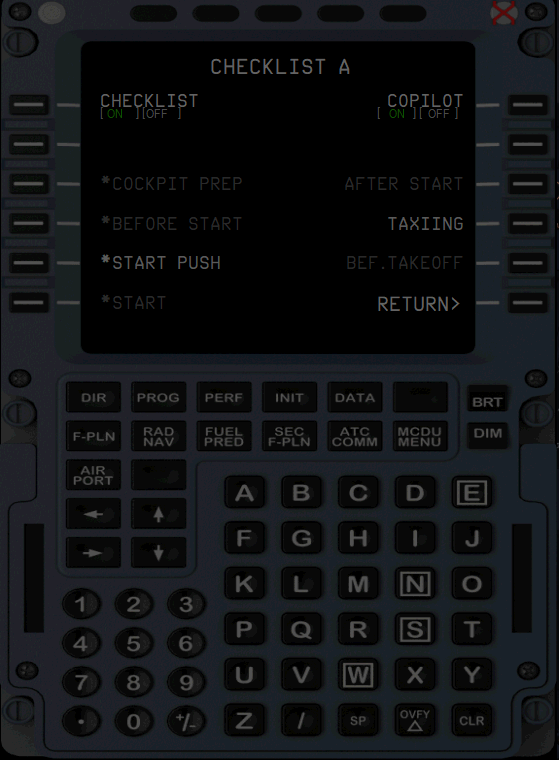 If I try to close the checklist automatically it writes me "OFF DELAY". 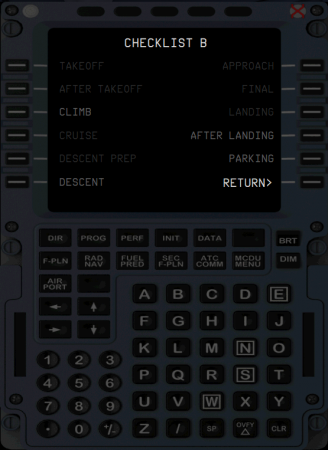 Would not it be possible to insert a button that restarts the checklist? or make sure that after an X time that remains blocked, skip that part? Or even make sure that you have already moved on to a later stage, skip this "missing" item? Not sure what you mean here, but usually when then CL does not move on, you did not perform a necessary action. So please tell us with which aircraft state you star, what you have done and at which point the CL stops. the problem and I do not know where it has stopped. 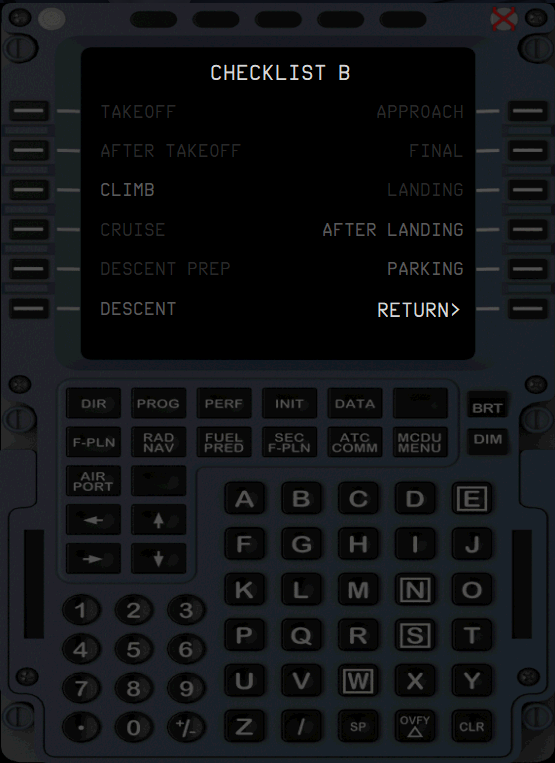 I think of the last item of the cockpit preparation. The "before start" has never left. I'm using a A321-200 della Finnair. Moved from the 3rd/Settings MCDU threads to the Checklist area.